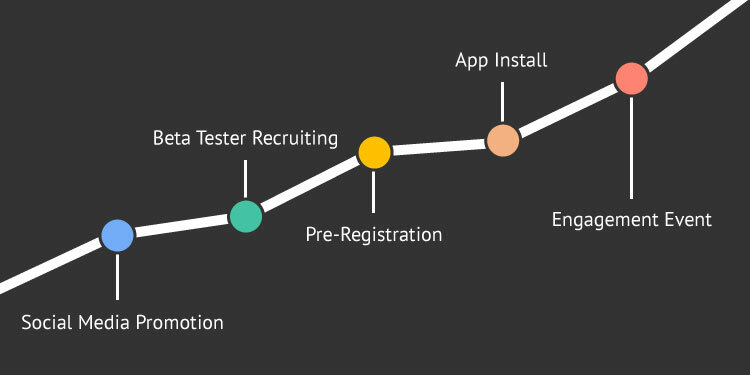 Achieve high user engagement and retention with our end-to-end solutions. Using video trailers, Facebook, Instagram, and Twitter, GameDrop generates interest in your app and creates a core audience who will pre-register for your app. Users who pre-register for apps receive a rare in-game item on launch day. This encourages them to install and engage with the game. Post-launch, GameDrop continues to engage users through promotional coupons, item giveaway events, and contests. Games featured in GameDrop achieve a 20% higher retention rate than typical reward CPI campaigns.